It’s a long weekend and we hope you are enjoying it so far. We will be closed on Monday to tuck into some Turkey and have a nap, sorry for any inconvenience. We are open today and tomorrow, and we’ve got some recent new vinyl releases to feature. There’s also a list of restocks and additions below the recent releases. 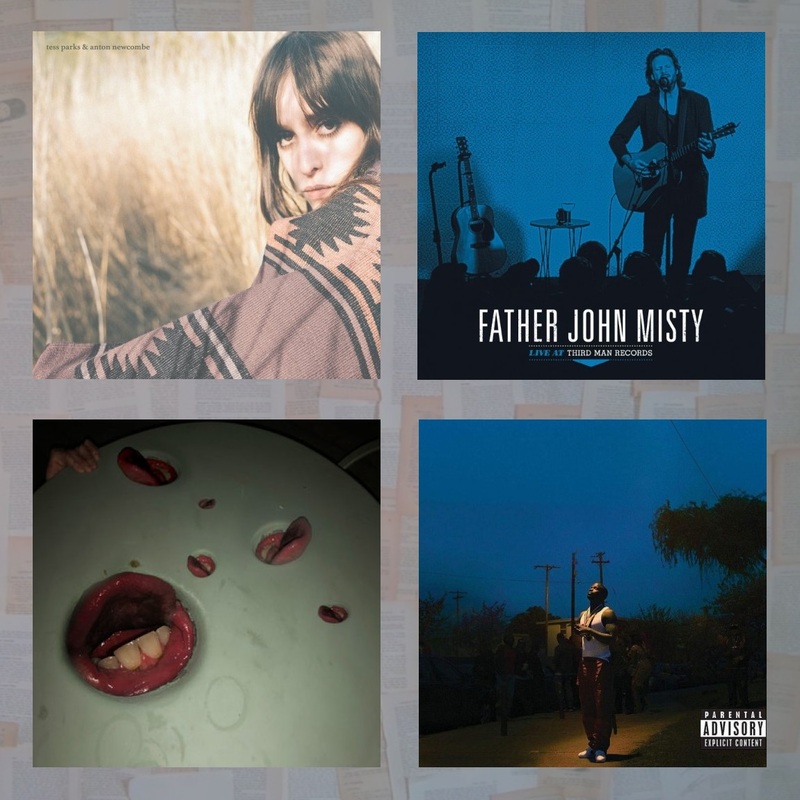 Let’s check out the details on the latest releases from Tess Parks, Father John Misty, Death Grips and Jay Rock. This is the second full length album from Tess Parks & Anton Newcombe. All tracks were recorded at Cobra Studios, Berlin in 2017, the majority of the songs co written by Tess & Anton. Tess Parks, a native of Toronto, moved to London, England at the age of seventeen where she briefly studied photography before deciding to focus on music. Tess made an impression on industry legend Alan McGee, founder of Creation Records, albeit the timing of their meeting could hardly have been less ideal; McGee was no longer involved in music and Tess was due to move back to Toronto. After moving back to her hometown in 2012, Tess formed a band on the advice of McGee and less than a year after their meeting, he returned to music with his new label, 359 Music. Anton Newcombe is the leader of the Brian Jonestown Massacre, named in tribute to the legendary Rolling Stones guitarist and his influence in introducing Eastern culture and music into the world of Western rock & roll, Brian Jonestown Massacre formed in San Francisco, California in 1990. In September last year, Josh Tillman stopped by Third Man’s Nashville headquarters on an otherwise ordinary Tuesday afternoon and surprised all with a lunchtime solo, acoustic set before his sold-out Ryman Auditorium performance. Third Man of course, had their 1955 Scully Lathe warmed at the ready to capture the occasion. As is typical for direct-to-acetate recordings in the Blue Room, Josh warmed up the room with two songs before they started cutting the LP. He began with the debut performance of his newly penned “Mr. Tillman” (foreshadowing its release as the first single on God’s Favorite Customer 9 months later). Then the second song as an opportunity to carve a 12” on-the-spot single of “Now I’m Learning to Love the War,” which was promptly handed it to a lucky attendee for safe keeping. If you want to know more about that, you’ll have to scour the depths of FJM’s fan net. Year of the Snitch is Death Grips’ sixth album following their 2016 release Bottomless Pit. The prolific noise rap project drills down on their sonic signature and remains politically agnostic and persistently agitated. It features contributions from Andrew Adamson and Tool’s Justin Chancellor. The third studio album by rapper Jay Rock, Redemption reflects on his struggles surviving in the California ghettos and with a near-fatal motorcycle crash, this album is about getting a second chance at life and getting some wins after travelling a long, hard road. Featuring guest appearances from Jeremih, J. Cole, Future, Kendrick Lamar and Sza with the singles “King’s Deas” and “The Bloodiest”. Restocks and Additions to our selection of new vinyl here at Backbeat.